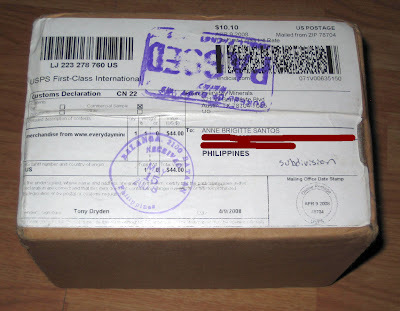 after more than a month of waiting (my first one just took 2 weeks, grrr) my EDM loot is now here. My aunt had to mail it to me since i didn't go home this weekend (and will not, for the next 7 weeks because of school). 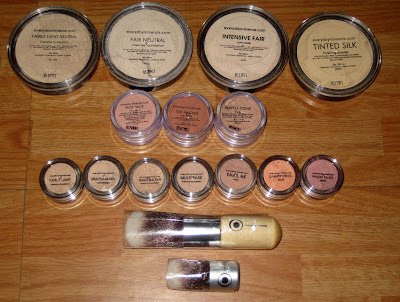 I got full-sized pots of foundations and some blushes that many mmu users love. 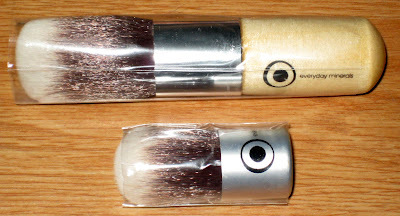 i prefer the Kabuki brush over the Flat top brush...to my disappointment, i found out that i already have a FS pot of Tinted Finishing Dust and so now i have two. Argh! i seriously need to monitor my stuffs from now on. 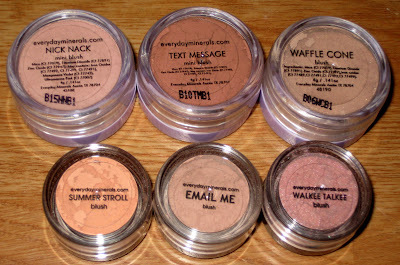 i would post the swatches soon...so watch out! fab loot! 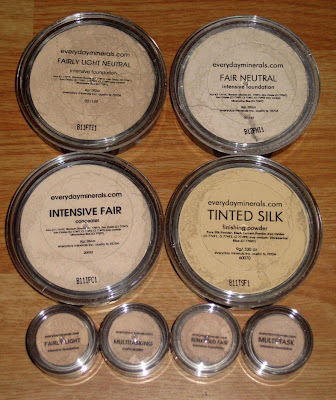 btw, Tinted Finishing Dust is that the Tinted Silk finishing powder? do you plan on selling? i might want haha!